We are Izzy & Laurie, a married couple who love to travel, climb and explore the great outdoors. We are both from and still live in Hampshire, UK. Yosemite. We named her after our favourite place. Our holidays always involved renting campers and road tripping in far away countries. 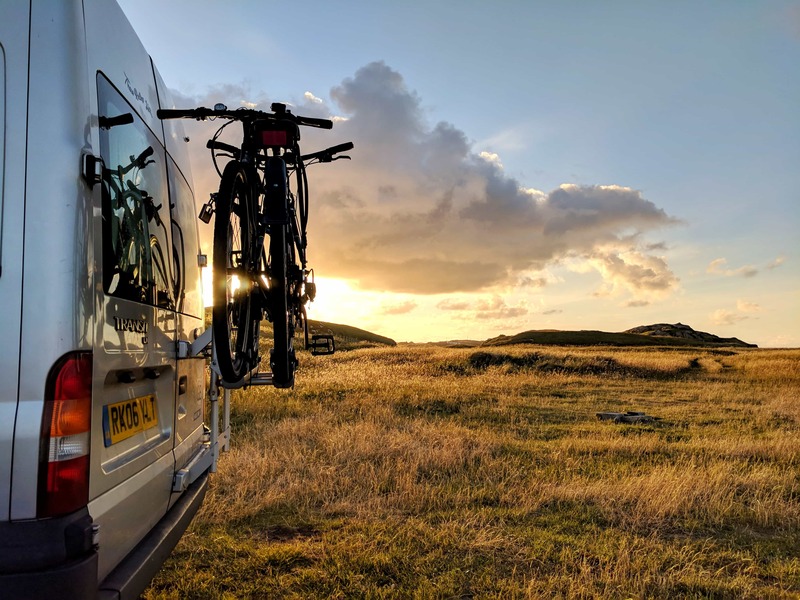 We always talked about getting a van of our own but it was only when we took up climbing two years ago and found ourselves on the road and camping every weekend that we thought now was the time to get on and do it. 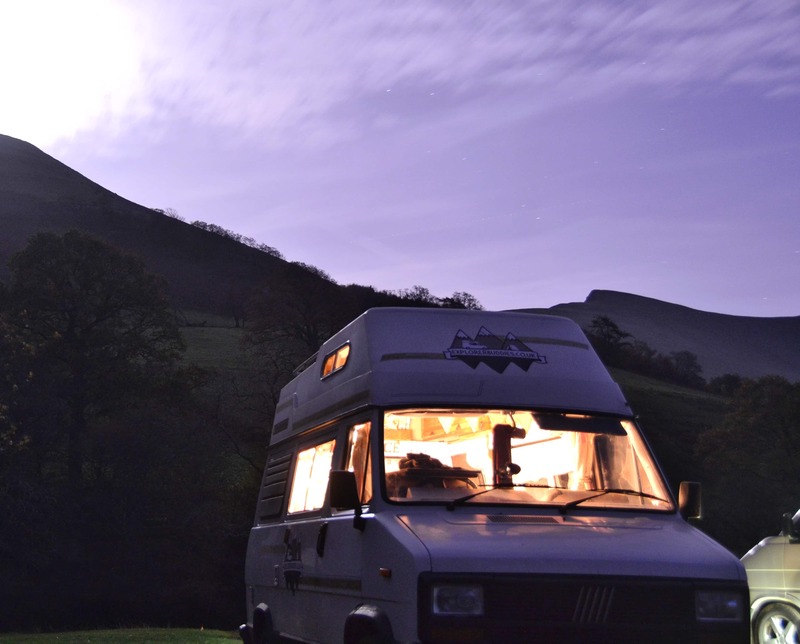 What’s the best thing about travelling in your van? The constant access to the outdoors. It’s there ALL the time. You only need to step out in the morning and you’re welcomed with it. The sounds, the smells, the sounds, it’s awesome. Sometimes you find yourself parking up in great little secret spots with views that even 5* hotels can’t beat. You feel incredibly privileged. 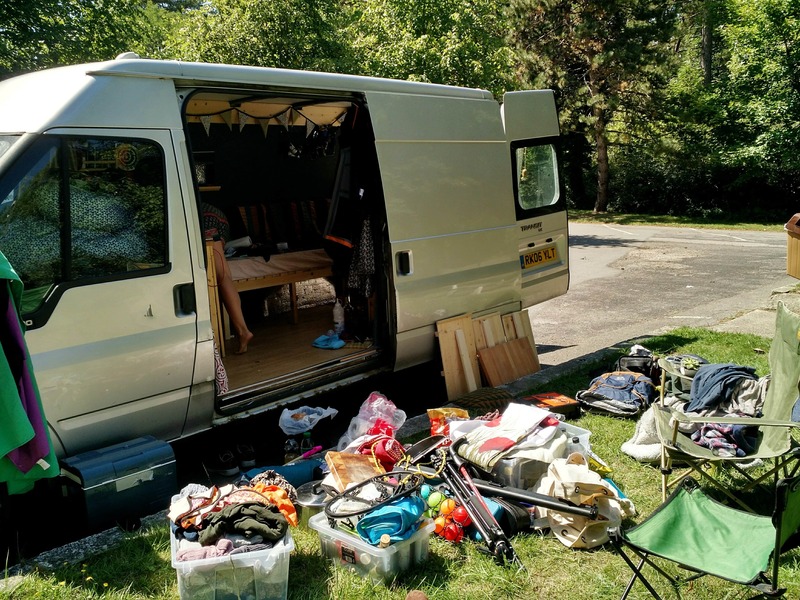 What’s the hardest part about travelling in your van? For me (Izzy), it’s the lack of our own toilet. Waking up in subzero temperatures and crawling out of your warm sleeping bag to go pee in a bush in the early hours of the morning is not my favourite thing to do. It is far from glamorous! Hard to say. We’d still be travelling as often as we could, and getting outdoors as often as we can but those opportunities would be harder to come by, especially in the winter. Our lives would have a big van shaped hole in them. Our ceiling. It was a bit of a turning point in the build. We’d planned on doing a quite basic build but when we finished the ceiling, we thought it had the potential to be something a bit more special. 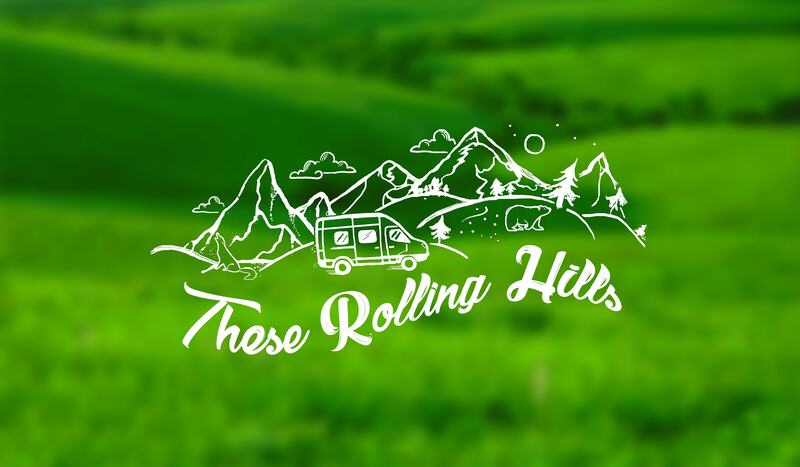 The kindness and support we got from the vanlife community. People are always willing to share tips, help problem solve and give inspiration when building and travelling. W even had people inviting us round for dinner when we were travelling through Europe. People are awesome. Go for it! Take you time and do lots of research through YouTube and Instagram. There’s tonnes of inspiration and guidance out there, it helped us so much during our build.